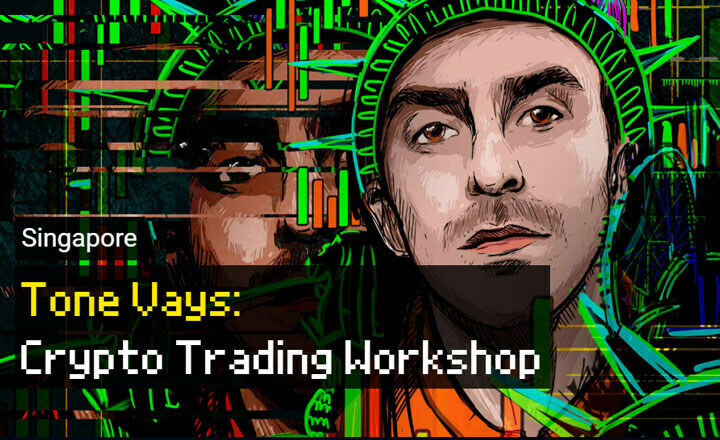 New and seasoned digital asset traders will explore strategies and gain more knowledge of trading in this one-day course to be given by Tone Vays on February 3. Crypto Trading Workshop is a high-end blockchain event scheduled to take place at Singapore’s Fullerton Bay Hotel from 8 a.m. to 1 p.m. UTC+8. The exclusive workshop from CryptoFriends will guide traders to effectively improve their trading skills. Crypto Trading Workshop covers important topics, starting from the basics up to the advanced strategies and information. Attendees will understand better the risks of being a trader, as well as key factors like candlestick patterns, momentum indicators and divergence, and practical applications using live charts. Interested traders should register for the Crypto Trading Workshop as early as today because the event offers limited slots. Those who cannot attend the event in Singapore may still participate via the private live broadcast that they can stream when they sign up.